S/Sgt. Lardera Verande of the intelligence unit of the Army’s 6th Infantry Division was shot along Sinsuat Avenue, according to 6th ID public affairs officer Maj. Arvin Encinas. 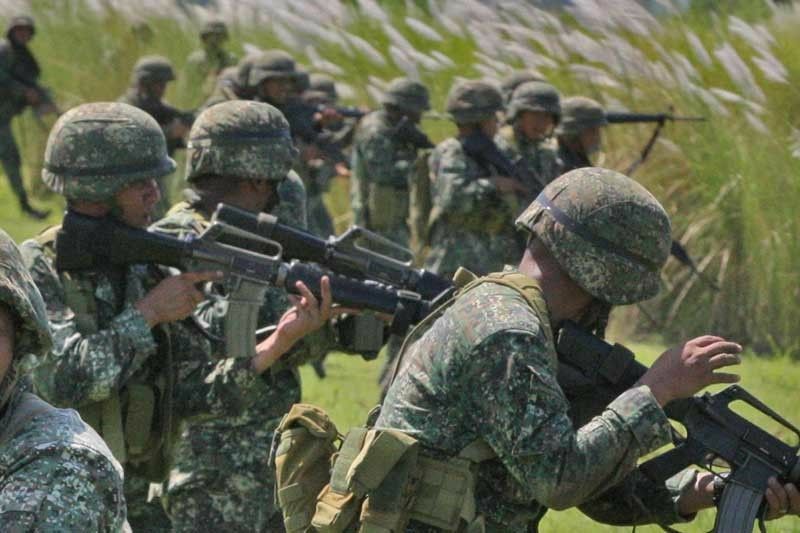 COTABATO CITY, Philippines — Three soldiers were killed in gun attacks by members of the Bangsamoro Islamic Freedom Fighters (BIFF) on Thursday. Pvts. Junard Estribor and Nelier John Pinto also of the 6th ID were in a car on their way to this city when they were waylaid in Barangay Sambulawan, Datu Salibo town in Maguindanao. Their companion, Pvt. Muqtadir Salmpuna, was wounded and remains confined in a hospital. BIFF spokesman Misry Mama admitted that their group perpetrated the killings to avenge the death of their comrade in Maguindanao earlier this week. “We will retaliate every time one of us gets killed in a government offensive,” Misry said. The attacks preceded a grenade explosion in a residential area near the Cotabato Regional Medical Center. Probers said the grenade was hurled on the roof of the house of retired police officer Rudy Payag. No one was hurt in the explosion, but it caused panic among residents. Police and military personnel are still validating reports that the BIFF was also behind the attack.